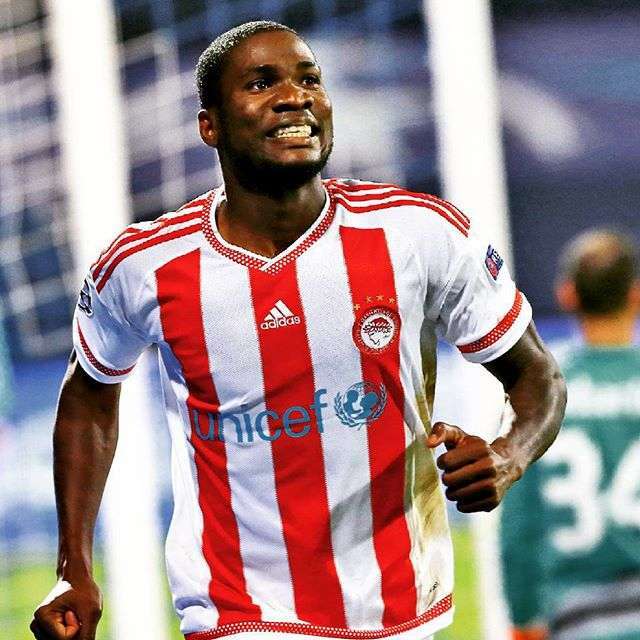 Brown Ideye got off to goal scoring ways in Greece as the Super Liga kicked off over the weekend with three goals against Veria FC in a 6-1 win. That also happened to be the first career hattrick for the striker who has played for Ocean Boys, Nuechatel Xamax, Sochaux, Dinamo Kiev and West Bromich Albion before joining the Greek champions last year. 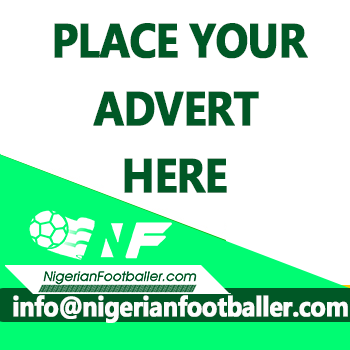 Asides Ideye, it also turned out a busy weekend for Nigerian footballers all over Europe as record breaking Kelechi iheanacho became Manchester City's youngest ever derby goal scorer. Kelechi Iheanacho started for Manchester City against Manchester United and gave a good account of himself. He got a goal and an assist, though he was taken off in the 53min for Fernando as manager Pep Guardiola sought to protect his lead. Watford played the game of their lives as they came from 2 goals down to beat West Ham United 4-2 on the day. Odion Ighalo started the comeback with Watford's first goal in the 41st minute but in the 69th minute he was taken off for fellow Nigerian Isaac, Success. For Chelsea, Willian was taken off in the 77th minute and Victor Moses was brought on as Chelsea salvaged a point against Swansea. Moses was decent but the game ended Chelsea 2 Swansea 2. Leicester City's Ahmed Musa started from the bench but got a taste of action in the 46th minute when he replaced Shinji Okazaki. He couldn't help as Leicester lost 4-1 to Liverpool. Arsenal got a hard laboured 2-1 victory against Swansea and in the 75th Theo Walcott was taken off and Nigerian Alex Iwobi came on but made no real effect on the game. In the championship Sone Aluko played all ninety minutes as Fulham were sunk 1-0 by Birmingham City. Meanwhile Super Eagles first choice goal keeper, Carl Ikeme was on full display as his side Wolverhampton Wanderers played out a one all draw with Burton Albion. Uche Henry Agbo was taken off in the 46th min as Granada struggled at home to Eibar, they eventually lost the game 2-1 in front of their home fans. In the 60th minute, Daniele Baselli was taken off and Nigerian Joel Chukwuma Obi was brought on for Torino but he but he could do little as his side fell 2-1 to Atalanta. Leon Balogun featured for all ninety minutes as Mainz played out an exciting four all draw with Hoffenheim. Vincent Enyeama played all ninety minutes but could only pick up the ball helplessly from his own net as Lille lost 1 - 4 to Monaco. Dickson Nwakaeme was a 70th minute substitute as Angers got an easy 3 - 1 win over Dijon. Moses Simon was on for the entirety of the game and got his name on the score sheet as Gent beat Lokeren 3-0. Onyinye Ndidi couldn't save Genk from a devastating 2 nil loss to standard Liege despite being on for the full duration of the game. All three Nigerians were on display as AS Eupen beat Oostende 2-1. A. Bassey came off the bench while Henry Chukwuemeka Onyekuru started the game. Jamabo Odeni George was an unused sub also for Eupen. 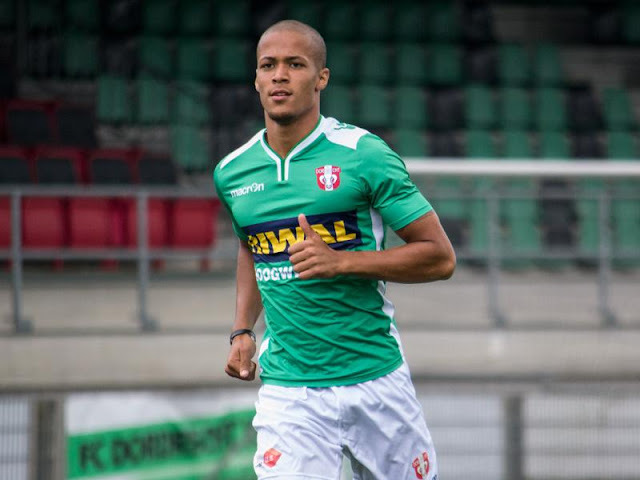 William Troost-Ekong was in full display as his team FK Haugesund played a frustrating draw with Molde. Emmanuel Emenike came off the bench but couldn't help Fenerbahce from losing 0 – 1 To Bursaspor.